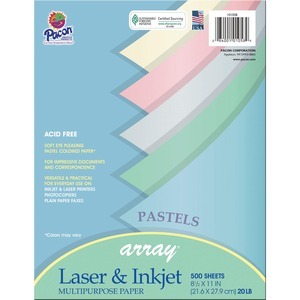 Pastel bond paper adds a soft, delicate touch to memos, correspondence, announcements and flyers. It works well in laser and inkjet printers, photocopiers and offset printers. This 20 lb. paper is acid-free and recyclable.